Before 2008, the midsize offering from the British performance and luxury giant Jaguar shared an obnoxiously large amount of DNA with a Lincoln. 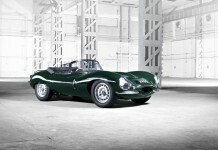 On top of its slightly less than shocking dynamics, the S-Type was in all honesty, ugly. While the Ford derived global chassis had room for improvement, the older Jaguar sedan simply failed to deliver where it counted most and thus, it fell behind to the likes of the BMW 5-Series and Mercedes-Benz E-Class. Enter today however, and the English midsize offering isn’t as Lincoln-ish as before. 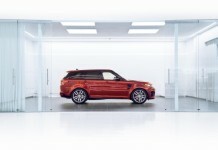 It’s stretched, strengthened and more British with a pledge to bring together comfort, technology, performance and charm. While it may be four years old, the Jaguar XF is still ready to rumble for 2012 in one of the most heated automotive segments the world has ever conceived. Born in 2008, the XF replaced the S-Type as Jaguar’s 5-Series fighter. Created at the cusp of the Ford/Jaguar disbanding, the sedan was the first child of the Tata Motors ownership that now spans the automaker’s entire line up. 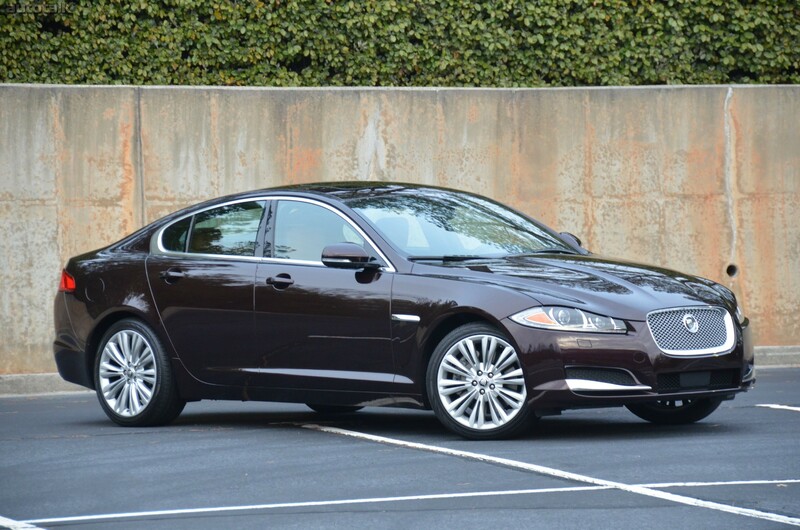 While it may still lay on the Ford derived DEW platform, the XF’s version has been greatly modified from the S-Type. Longer and taller, the new Jag was created to offer a more spacious interior on all accounts. In 2011, the sedan received a refresh with new head and tail lights, revised interior trim and up-to-date media tech. It still rides on a roomy 114.5 inch wheelbase, spins the rear wheels and pounces around with four independent feet but has been equipped with subtle upgrades in order to keep things sweet. More importantly perhaps, the XF is much more British than its S-Type predecessor. In order to figure out just how improved the XF is, we got behind the wheel of a 2012 Portfolio edition. Placed as the second level trim, our test car carried a starting price of $59,000; $6,000 more than the base model. Standard items included such things as navigation, Xenon headlamps, satellite radio, rear view camera with park aid, leather interior, heated and cooled front seating and 19 inch wheels. To make driving even better on our Caviar colored tester, the $700 Cold Weather Package with heated windshield and steering wheel was added as well as the $2,300 Bowers & Wilkins stereo and $2,300 Adaptive Cruise Control system. A $525 Jet Headliner rounds off the sedan and with destination charge, our XF rolled off the Castle Bromwich assembly floor with a final MSRP of $65,700. Under the hood of the old S-Type was the same engine found in the Lincoln LS and in base form, it pumped out a humble 300 horsepower at its best. Needless to say, real premium performance was only delivered by the expensive and rare R version which used a supercharger to bump power and lower fuel mileage. It may have been smooth, but the older 4.2 liter V8 was a downfall to the S-Type, so when Jag put out the XF, they wanted to smash all of the previous notions. And smash them they did as the 5.0 V8 is an absolute gem; a masterpiece of automotive engineering. Widely used as the base powerplant among the Jaguar line-up, the new block is rather special as it no longer holds any connection with Ford and is built where it should be: England. Pumping out a solid 385 horsepower and 380 lb-ft of torque, the direct injected dual cam engine is one heck of a standard mill that can hustle the heavy sedan to 60 mph from a stop in under six seconds. What’s more impressive than its on-paper performance is the 5.0’s character as it surges ahead with a force and velocity previously only thought to exist from 1960’s Motown. Eager to rev and heavy with torque, the V8 is perfectly paired with a classic: the ZF six speed automatic. It may be old news compared to the eight speed, but the six cog slushbox is a legend in its own right as it always delivers strong and fast upshifts. Where it falls behind is in low-speed downshifting such as required for highway passing. While no gear hunting was present, the XF could get a bit jolted up when the hammer dropped at right lane speeds. Like the limousine XJL we drove last year, the XF goes about its business in a slightly different fashion from the Germans. Unlike the BMW 5-Series which is strictly function over style, the Jag is all about swag. Inside, the London Tan leather mixes handsomely with the silver dash and accents while the layout is like nothing else in the premium midsize market. Press the power button and up pops the ZF’s “shifter” knob as if Q designed it and displayed on-screen is a charming LED show of cat-like exhilaration. It all looks charming and unique enough but dig deeper, and tempers may change regarding the car’s actual usage. For 2012, Jaguar upgraded the stereo, navigation and media controls and while they are an improvement over the previous offerings, they still lack the ease of Audi’s or even BMW’s. The touchscreen’s buttons are simply too small and the reaction times are still not quick enough for today’s modern world. When shelling out more than $60 grand for luxury and technology, a driver shouldn’t feel intimidated or confused but instead, wonderfully flabbergasted. Like the XJL, the XF continues to fall short of being podium worthy when it comes to interior gizmos. The XF is rather similar it is larger brother and in more ways than one. While its interior may be more fashion than function, its dynamics are something to be envied. Equipped with Jaguar’s Dynamic driving mode system, the sedan can go from a mild-mannered commuter to a road ripping corner carver in a meer moment. The system mitigates almost every mechanical aspect of the XF from sharpening the throttle response to stiffening the dampers and when placed in sport mode, grabbing an apex becomes child’s play. Rotation is dead on and the communication between the car and the steering wheel is crystal clear. The XF is exactly why the sport sedan was created as it can be quiet, composed and mature one minute and heart racing the next. Dynamically, the sedan simply delivers. 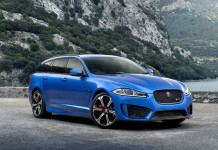 Jaguar has a tough job to take care of with the XF; they must take sales away from the German giants. Numerous manufactures have attempted but the British marque has always been there, fighting the good fight and earning a few solid hits along the way. At the end of its rope, the S-Type floundered and became a last place finisher in Car and Driver “comparos” but today, its replacement has hit the market with a whole new persona. It is still English, still flawed, still thirsty (16 mpg in the city) and still a bit questionable but what Jaguar isn’t? The engine is no longer a dog and the XF with its long hood, short overhangs and deep cuts is no longer the ugly midsize offering. Perhaps more of a driver’s car than an all-together luxury cruiser, the Jag delivers the most with its charm: something the Audi A6, BMW 5-Series and Mercedes-Benz E-Class can’t seem to match. Hurtling down a desolate highway behind the wheel of the XF will produce a larger smile than from within the A6, but the Audi won’t infuriate you when trying to listen to your iPod. The British sedan caters to a specific type of driver and if that person likes power, charm and class, than the 2012 Jaguar XF might be just right for them.